The technology sector has been noted for its extensive examples of alleged California age discrimination complaints, particularly in Silicon Valley, home to some the tech industry’s high rollers. IBM is a firm that has repeatedly been accused of unlawfully discriminating against employees on the basis of age. Four former employees of the company allege top executives at the firm were calculated in violating the law during a round of layoffs that specifically targeted older workers. It sounds outrageous, but as our Los Angeles age discrimination attorneys know, these are just four of an estimated 20,000 workers over the age of 40 who have been discharged the last six years. The workers say the company violated federal laws like the Age Discrimination in Employment and the Older Workers Benefit Protection Act (OWBPA) in trying to alter the makeup of the company’s senior administration roles by replacing the majority of baby boomers at the helm with younger workers and recent college graduates perceived as more tech-savvy. In order to avoid the legal repercussions of unlawful age discrimination, the employer is accused of trying to cover it up by trying to ensure workers had only minimal information about the demographics of the layoffs, even those this information is required by the OWBPA when a company seeks a waiver of rights like this one. Workers were then asked to sign arbitration agreements that effectively stripped them off their federal right to bring age discrimination claims together as a group class action. Age discrimination employment attorneys know it’s not unheard of for employees to be coerced into signing arbitration agreements, whether at the start of employment are while they’re leaving it (the latter often in exchange for a severance package of some sort). 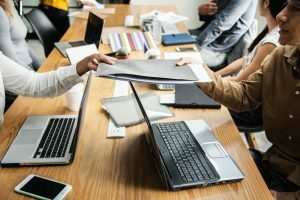 This releases the company from having to face down a class action lawsuit from a host of former employees, and it also can deprive workers of they type of injunctive relief to which they are entitled. IBM leadership reportedly referred to younger workers as “innovative” and “fresh,” while older workers were referred to with terms like “gray hairs” and “old heads,” (even in internal reports) generally applying stereotypes to the latter of being rigid and unreceptive to change and new technology. Los Angeles age discrimination attorneys understand the company is forcefully denying the claims, saying they are confident plaintiffs will fail. The federal lawsuit comes after publication of a ProPublica story called, “Cutting Old Heads at IBM,” which detail the company’s age discrimination practices at length. As noted in the article, top executives at the firm hatched a plan to implement widespread discrimination in layoffs, which were referred to as “Resource Actions,” systematically slashing older workers in favor of those younger. Those at the center of this action were fired in 2016. Up until about two years before that – and dating back to at least 2001 – the company had given workers laid of comparative information per OWBPA. In determining which workers would be most likely selected for resource actions, the company allegedly manipulated the performance review process, which resulted in older workers receiving lower scores (which could then be used as a basis for justifying termination/layoff).